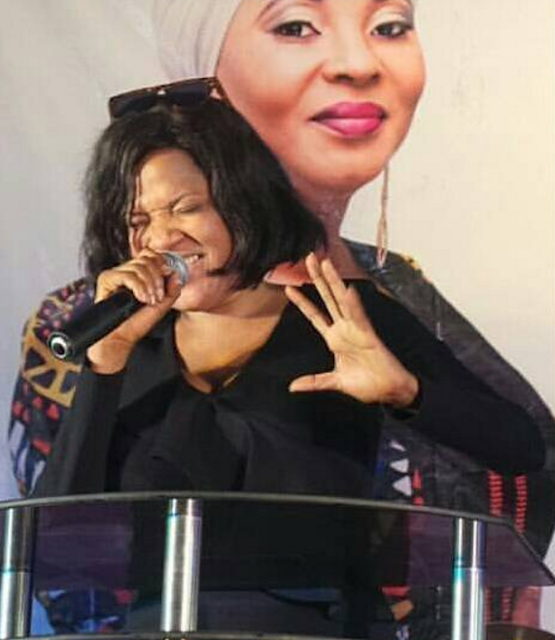 Nollywood artists such as Fathia Balogun, Bimbo Oshin, Queen Salawa Abeni and several others on Tuesday poured encomiums on the late Moji Olaiya during a night of tributes organized by the artists as part of her funeral programmes at the Blue Roof of the LTV8 in Ikeja, Lagos. 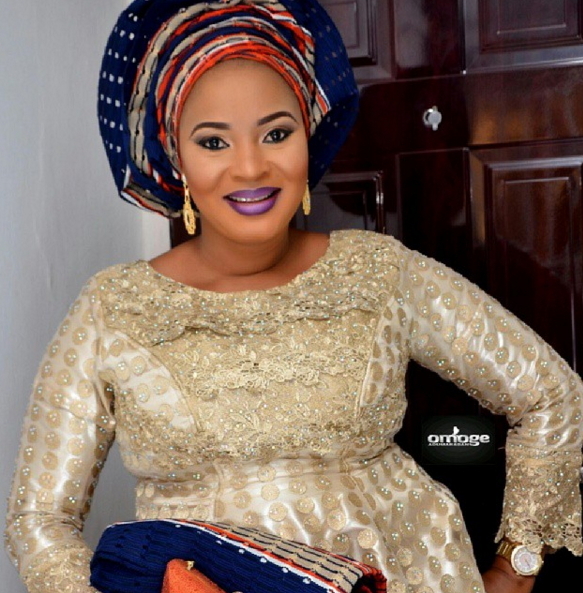 Moji Olaiya died in a Canadian hospital of cardiac arrest on May 7, 2017 three months after she was successfully delivered of a baby. 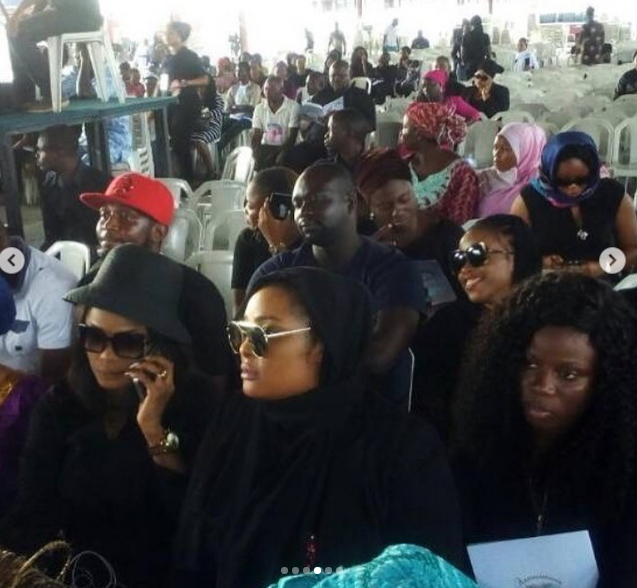 The event was attended by popular actors, actresses and other stakeholders in the entertainment industry. The night was punctuated by emotional and humorous stories about Moji’s life; as told by her family members and friends. 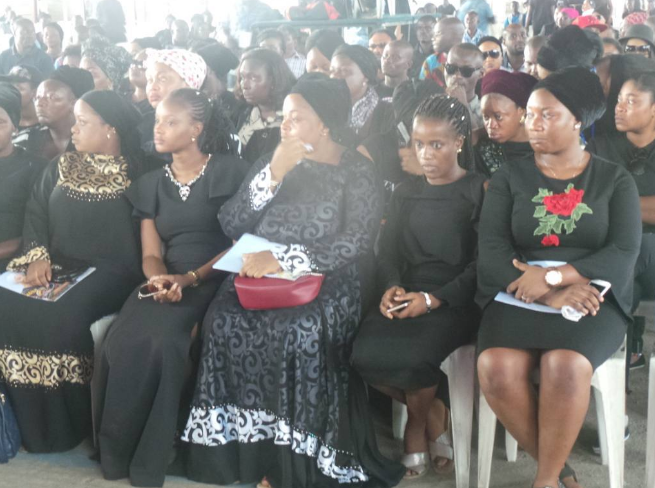 It was a memorable gathering of family and friends, that featured emotional words and a service of songs for their departed colleague. 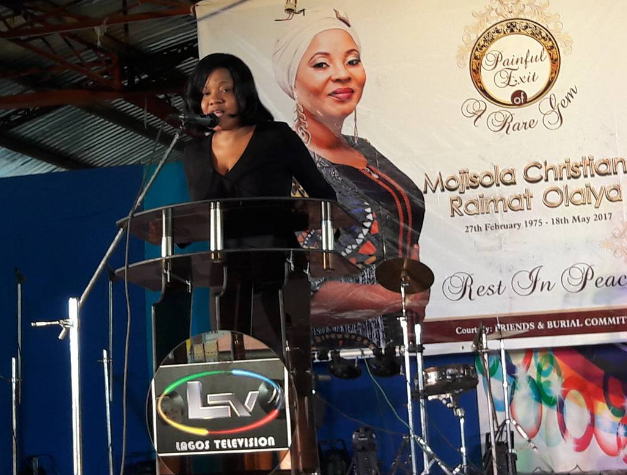 Some of the moving parts were when actresses such as Fathia Balogun, Bimbo Oshin and Foluke Daramola struggled to hold back their tears while paying their tributes to the memory of Moji. 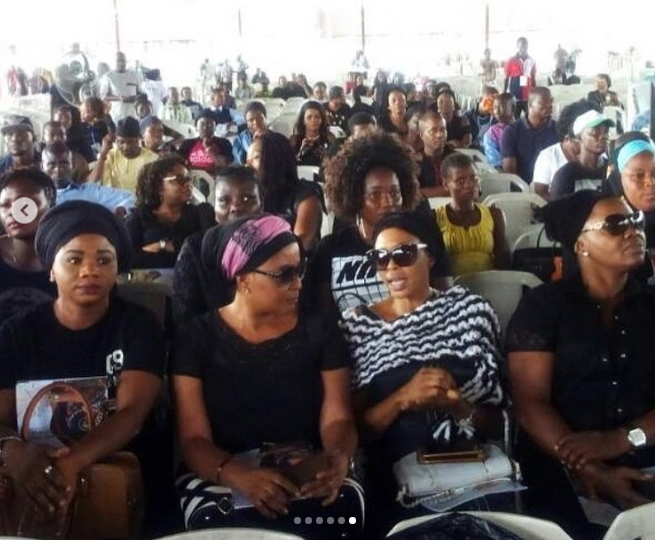 “I can’t believe that my sister is gone; she was a loving person, kindhearted and always smiling,“ said Funmi Olaiya, the elder sister to the deceased. She continued by saying, “Even if you fight with her, she will always find ways to come back and make peace with you. “When I heard she was dead; I was expecting a miracle from God that would wake her up and bring her back to us. But today and now is the wake, meaning she is not coming back. “I just pray for her soul to be with God and that her gentle soul to rest in peace. “I will miss her so much. The last time we talked, I forgot to tell her I missed her but now I’m telling her that I love her and I will miss her so much,“ she said. 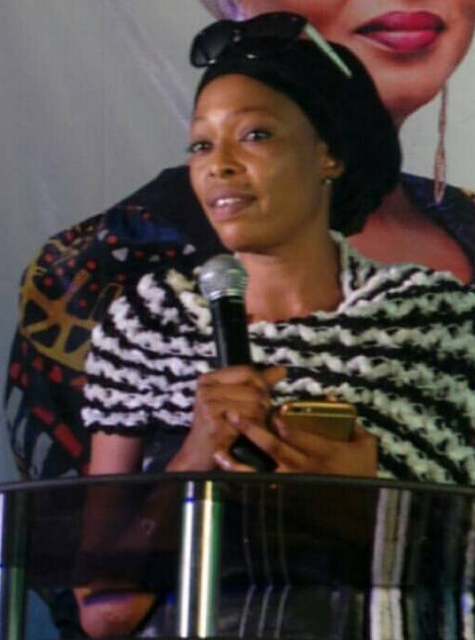 Also, popular actress, Fathia Balogun said, “ Moji loved this job a lot; she kept telling me that she had not done enough for this industry. “She had a lot of projects pending. 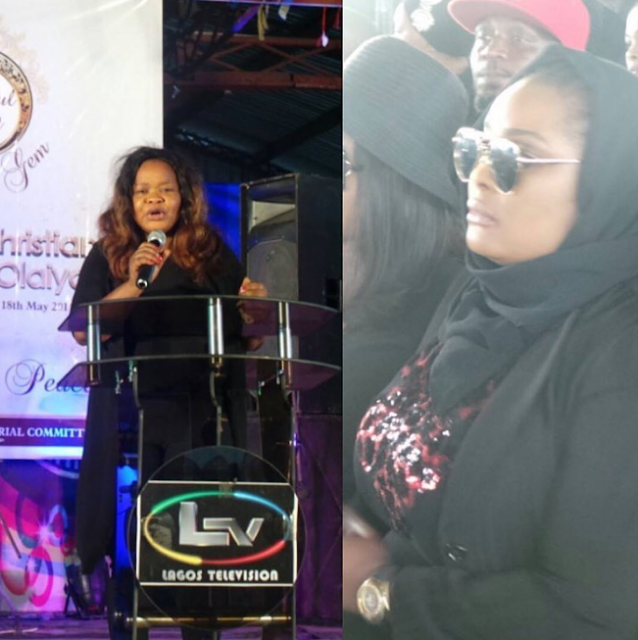 Giving back to the society was what Moji Olaiya had always wanted to do. And she was doing it in her own little way. 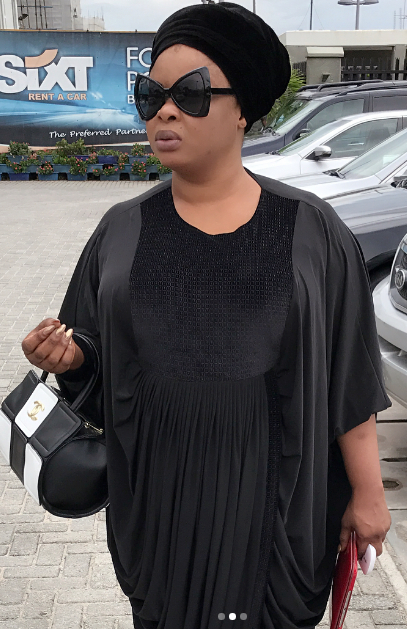 “Losing Moji in the industry for me is a minus because Moji was a fantastic and a very strong person that nobody would want to miss as a friend, sister or mother. “We have great plans for the kids, but you know we say it and God does it. “We pray that God will give us the strength to continue with the plans and fulfill the promises we made to the kids, but I know that they are not going to suffer. 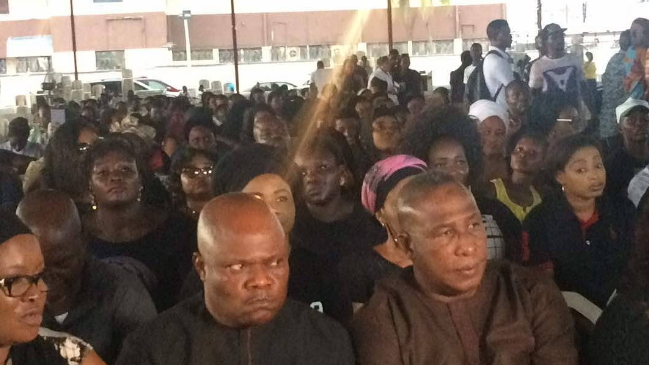 “We actually planned this burial arrangement in one week, thanks to Asiwaju Bola Tinubu who gave us money to bring back her corpse (the precious cargo) from Canada to be buried in Nigeria. 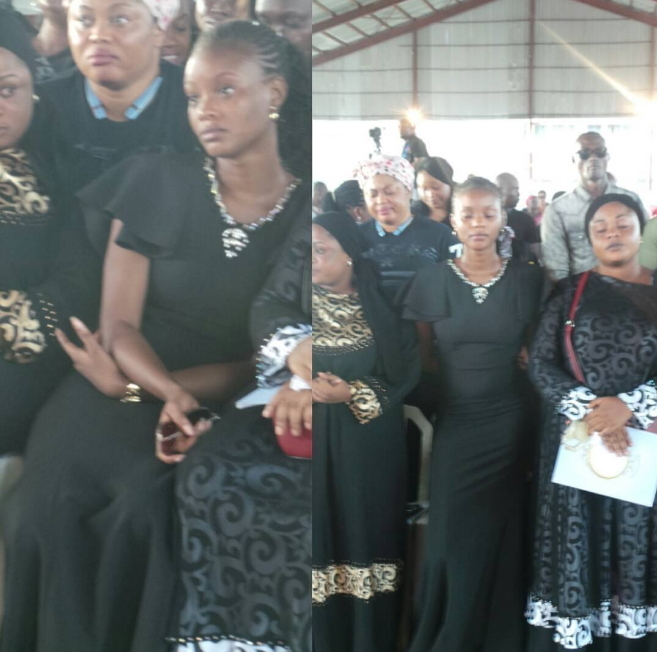 “And I am so happy that Moji will be buried in her father’s land. It will have been sad if she was buried over there,“ she said. 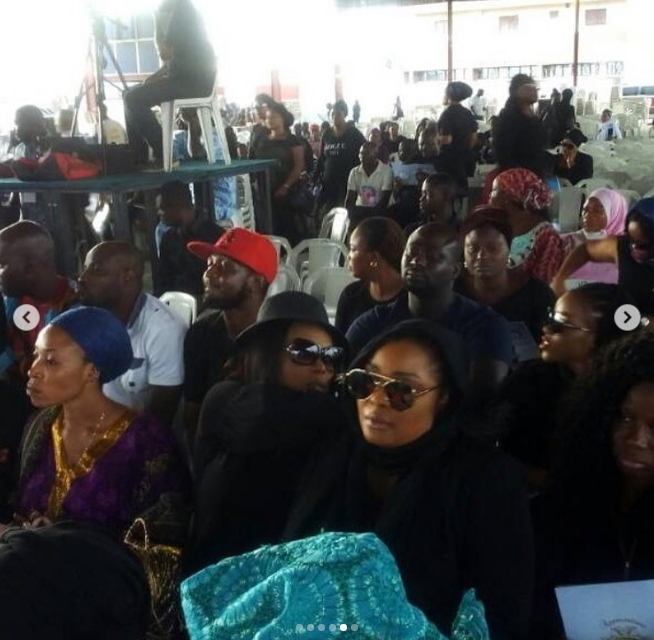 In the same vein; another actor, Adeoye Adewale, popularly known as `Elesho`, said that the late Moji Olaiya she was a very humble, reputable and nice lady. “I felt bad when I heard the sad news of her death, it is a great loss to the entertainment industry and may her soul rest in peace, “he said. 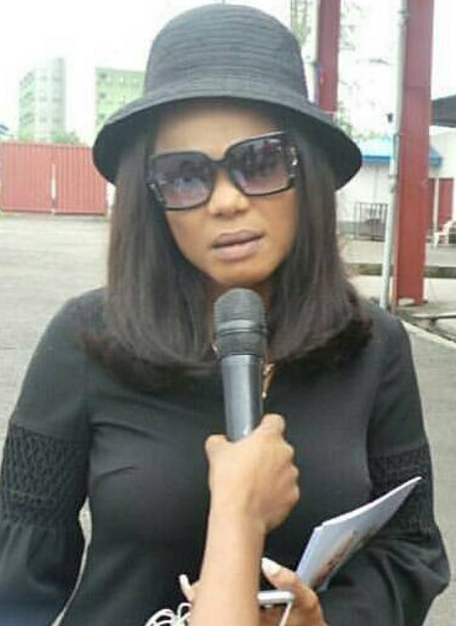 Also, Shola Shodimu said “It’s a big loss, Moji was good, professionally she was good. “She had so much humility around her; we are all going to miss her. “If I should begin to itemise all I knew about her, it would be an endless miss, because she was a thorough professional. “I can only say that God should grant those she left behind, especially, the family, the fortitude to bear the loss. It’s a big loss, “ he said. Veteran musician Queen Salawa Abeni said, “I felt so sad when I heard about her death, and I’m going to miss her beautiful smile. “I pray for her mum and dad, for almighty Allah to console them. Then for the children, we need to stand up and join hands to see the children grow and succeed. 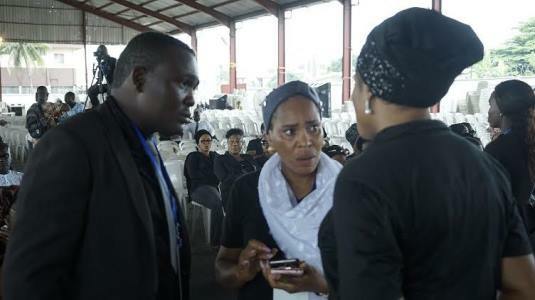 “We cannot just pay our last respect today and turn our back; I advise that we contribute toward her children and family’s welfare, “she said. 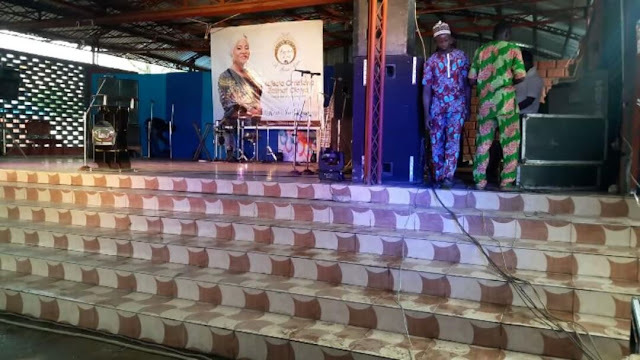 Popular Fuji artist Pasuma said, “The last time I saw her was during one of her movie premier. “This is a sad thing to happen and we need more prayers in the industry. We have to pray for her and her family and children. “May her soul rest in perfect peace, “he said. 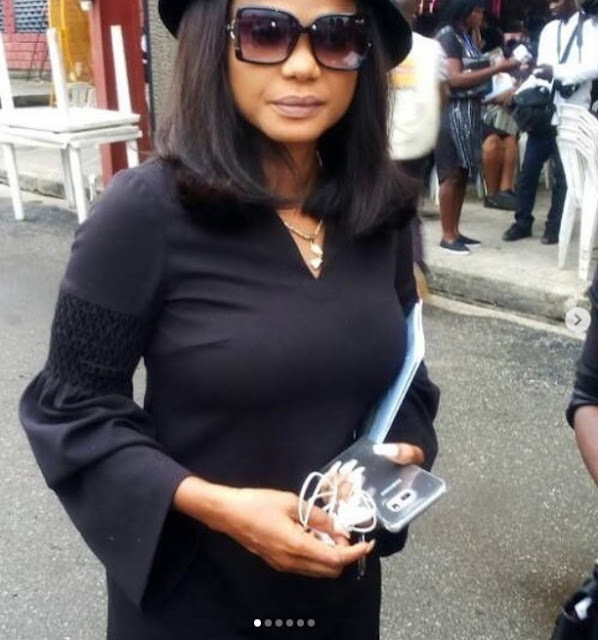 The remains of the 42-year-old actress would be interred today, Wednesday at the Ebony Vault in Ikoyi Cemetery.